This magnificent and beautiful work includes an extensive and illuminating text paired with an exceptional collection of 646 color photographs and 78 line drawings of the processes involved in forming metal sculpture, as well as contemporary and historic examples. 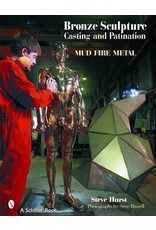 The author describes in detail the two techniques used to form sculpture castings in metal: the lost wax (cire perdu) method, and the modern variant of sand casting. Metal finishing processes on sculptures are explored in detail. One of the remarkable features of the cooperation given by Pangolin Editions, the largest sculpture foundry in Britain, is the presentation of 114 patination recipes, developed over 20 years by Rungwe Kingdon, Director of Pangolin. For a patinator to give away his trade secrets is not just unusual, it is unprecedented. 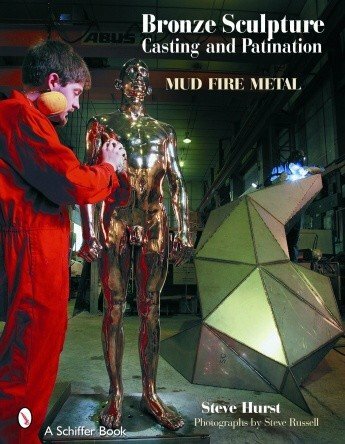 Hurst describes the importance of metal casting in art education, based on his 35 years of experience teaching sculpture students in universities and apprentices in the engineering industry. The book is an important addition to the libraries of art schools and universities as well as professional and amateur sculptors.